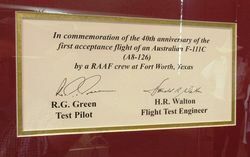 A plaque commemorates the 40th anniversary of the first acceptance flight of a Royal Australian Air Force F-111C. The Australian Government ordered 24 F-111Cs to equip the Royal Australian Air Force (RAAF) in 1963, but the aircraft were not delivered until 1973 because of long-running technical problems. 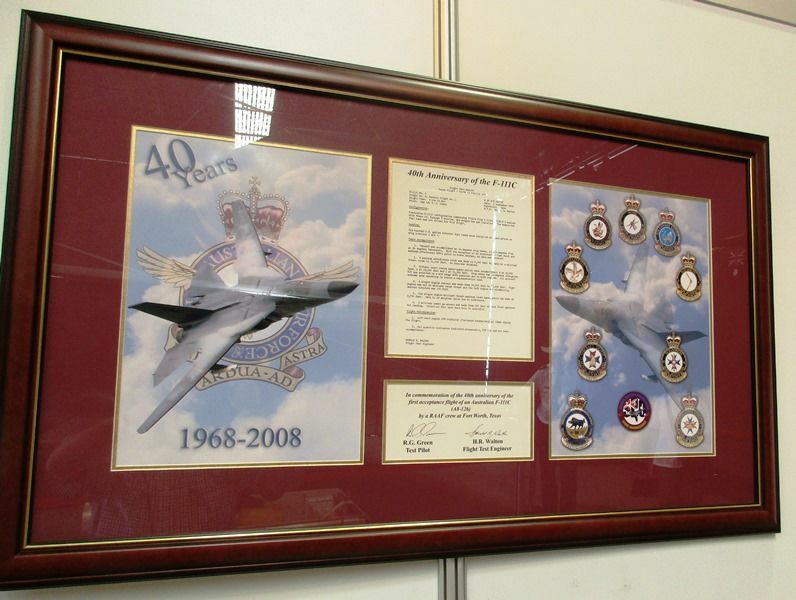 Although they were never used in combat, the F-111Cs gave the RAAF a powerful strike capability. 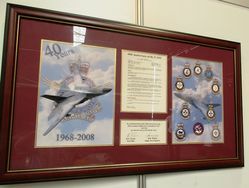 The aircraft went through modernisation programs in the 1980s and 1990s and the RAAF acquired improved weapons to maintain their ability to penetrate hostile airspace. Despite this, by the 2000s the F-111Cs were becoming outdated and expensive to maintain, leading to a decision to retire them in 2010 rather than 2020 as originally planned.